When should I use API Token instead of password? 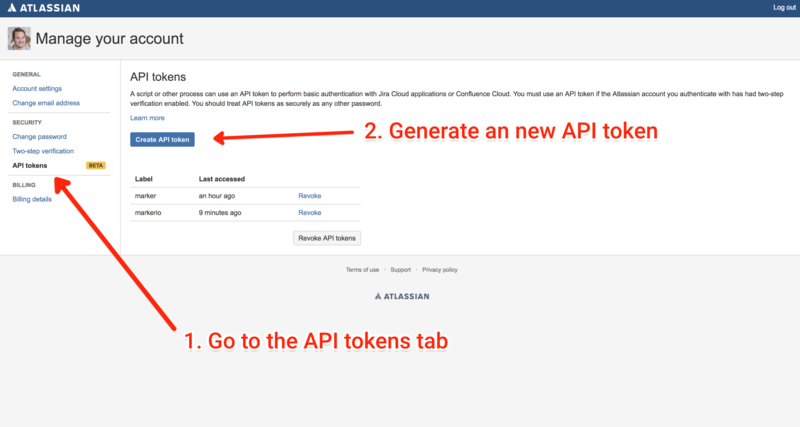 Google Apps: If you use Google apps to connect to your Jira account, you will need to generate an API Token to authenticate as you do not have a Jira password available. Two-step auth: If your Jira authentication required two-step verification, you will need to generate and authenticate using an API Token. When using the API token method, it's easy to get confused between different accounts. 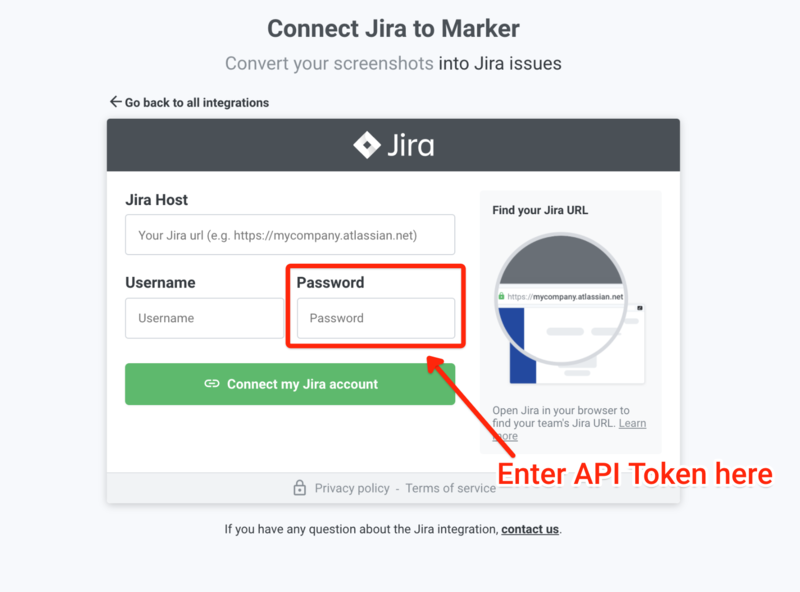 Then go back to your Marker.io account and go connect your Jira account using your Jira host, Jira email and API token (instead of password). In case you are unable to connect your Jira account to Marker.io, you can check this doc or contact us! We'll be happy to jump in to help connect your Jira account!